"HTC will unveil two new Facebook branded mobile phones next month, City A.M. has learned. The Taiwanese manufacturer will launch an official tie-up with Mark Zuckerberg's $50bn (£31.6bn) social network at the Mobile World Congress event in Barcelona. 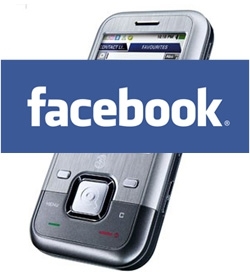 The high-end smartphones will be the first to bear the Facebook branding and colours." Rumoured to be running a version of Android, my first thought was "Well, if this thing is going to be the official Facebook phone, then what does that mean for Windows Phone 7, which has the deepest integration of Facebook to date?". If this phone is pitched as a phone that isn't overly geeky, and more importantly has a cheaper data plan than a full-blown uber-Android phone, I believe there's a large number of people who are currently in the feature phone segment that would trade up to this phone. One things for sure: if there really is an official Facebook Phone, the other phone makers are going to have to work harder on their depth of their feature integration. I wolud love to be able to completely remove everything related to FB from my HD7! You don't have to use the Facebook integration if you don't want to!! !